Dr. Spooner was one of the first licensed to provide prescription of low-THC high Cannabinoid marijuana in the state of Florida. Cannabis is an excellent option for treatment of refractory muscle spams and seizure disorders when traditional therapy has failed. In order to receive a prescription and registry card you must satisfy Florida state requirements including: remain under Dr. Spooner’s direct care for a minimum of 3 months, have a qualifying diagnosis & history, and have an updated treatment plan. Once provided a prescription for medical marijuana in Jacksonville, you may fill it at any Department of Health (DOH) dispensary and will be registered with the DOH as a legal user of medical marijuana. As a licensed recommending physician I treat all indications for marijuana from PTSD to chronic pain and wanted to explain the rules/truths. * A physician recommendation is valid for 70 days by State Law. The physician must have in-person visit once every 210 days. – The physician recommendation is on a Statewide database so patients may go to any Florida dispensary. * You must have a State issued Marijuana ID to enter dispensary and there is a small annual state fee for this. * I tell patients clearly that no physician can honestly tell you if marijuana will work for you as it is Federally illegal but state law legalized, therefore, there is no federal research and a lack of good peer-reviewed randomized placebo controlled trials. That said, the majority of my patients report significant improvements and often can come off other medications altogether. * In Florida marijuana is a bit like going to a winery. Just like red/white grapes there are 2 strains of marijuana called Sativa and Indica. There are patient preferences and efficacy and each dispensary grows their plants, bottles them, and markets them so some of my patients report product from a certain dispensary tastes/smells/works best. – I recommend trying several products from different dispensaries prior to large purchase. 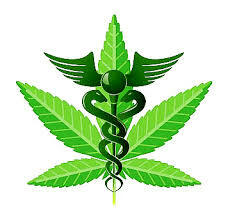 – Weight: Interestingly, marijuana is weight neutral. It gets you to your bodies unique set point so if you are underweight you will gain weight, overweight may lose weight. – Marijuana can impair drivers resulting in DUI offenses. – Different routes of administration include oral, sublingual, rectal, inhalation, and transdermal.